Filled with chicken, cheese and fresh spinach this delicious recipe for Crock-Pot Chicken Lasagna is full of great flavor and perfect for family dinner! We are on our third installment of “Crock around the Clock”. Earlier for Breakfast Tara had Apple Pie for Breakfast and then for lunch Heidi had Warm Pastrami Sandwiches . My contribution is dinner. I decided to incorporate something that grew out of my garden. We are harvesting our lettuce and spinach right now..so I decided to make a meal with spinach. What better meal then Chicken Lasagna with fresh spinach! You will need a large 6 quart or larger crock, oval. I boiled the chicken breasts while I prepared the other ingredients, you could also grill ahead of time. Wash fresh spinach, pat dry and then chop very fine. Pack spinach tightly into a one cup measuring cup. In a mixing bowl combine spinach, cream of chicken, sour cream, milk, Parmesan cheese, sour cream, shredded onion, salt, pepper and paprika. When you have diced chicken you will then measure 2 heaping cups of chicken and add to the mixture (I only had a few pieces left after). In crock-pot I use a liner, spray crock or liner with Pam. Then place 3 of the lasagna noodles in the crock, expect to need to break some of them to make them fit. Then put in a third of the spinach chicken mixture spreading it onto the oven ready noodles. Then a layer of mozzarella. You will repeat this 2 more times (noodles, spinach chicken mixture, mozzarella). I then cooked on high for an hour and a half. Then on low for 3 1/2 hours. 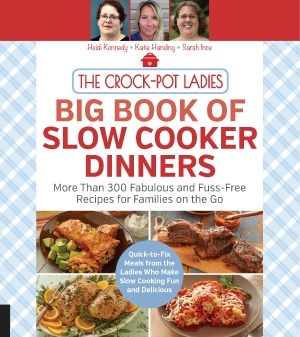 Remove from heat source (however your crock-pot works) and let stand for 10 to 20 minutes to set up. You can also use frozen spinach..you will need to let it thaw. 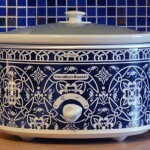 If you have a much older crock pot, I would suggest letting it cook a bit longer. Is there. Way to print/ save these recipes? Hi Carol all of our recipes have a print feature. If you scroll down to the recipe box you should see a printer icon. Click that icon and the recipe will come up in a new tab in plain text. Perfect for printing.